Friday was date night! So we headed towards Central Square for dinner and long discussions about fantasy hockey. 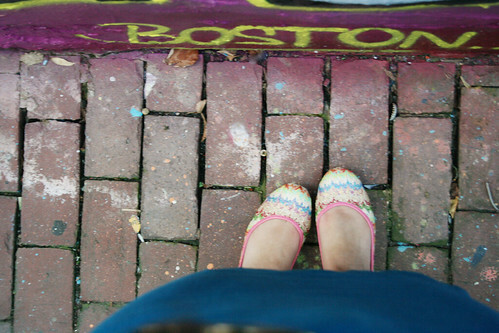 Of course, you can’t go to central square without stopping in graffiti alley for photos. So many, in fact, that I was worried that I would either clash or blend right in. Other than the blue being right at skirt level, I think it ended up being ok.